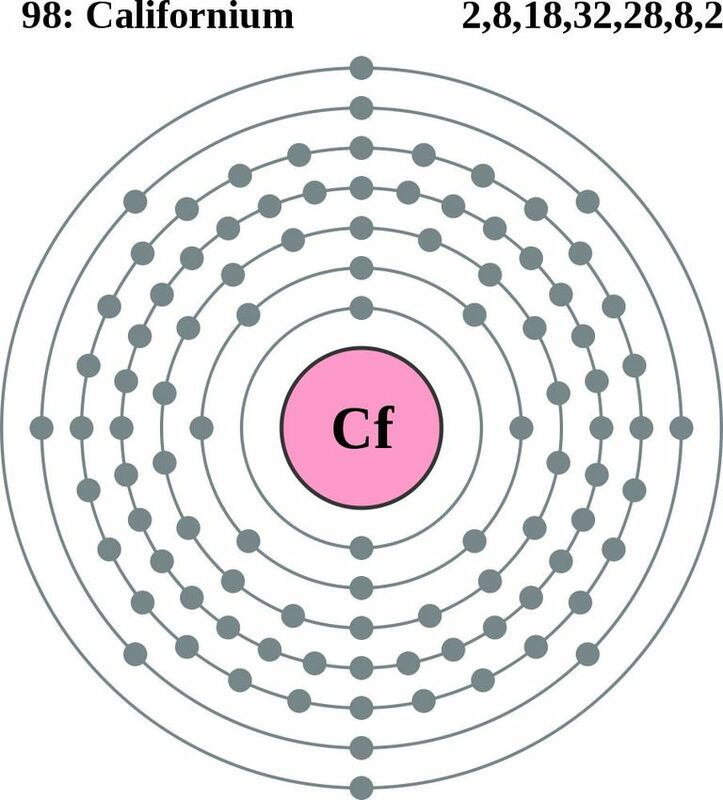 Electron configuration of a californium atom. Californium is a radioactive rare earth element that can be used as a neutron source. Properties: Californium metal has not been produced. Californium (III) is the only ion stable in aqueous solutions. Attempts to reduce or oxidize californium (III) have been unsuccessful. Californium-252 is a very strong neutron emitter. Uses: Californium is an efficient neutron source. It is used in neutron moisture gauges and as a portable neutron source for metal detection. Isotopes: The isotope Cf-249 results from the beta decay of Bk-249. Heavier isotopes of californium are produced by intense neutron irradiation by the reactions. Cf-249, Cf-250, Cf-251, and Cf-252 have been isolated. Sources: Californium was first produced in 1950 by bombarding Cm-242 with 35 MeV helium ions.